Currently Unavailable. Please chat with our team for alternative options. *Senior price is based on 65+ years, valid ID to be presented. 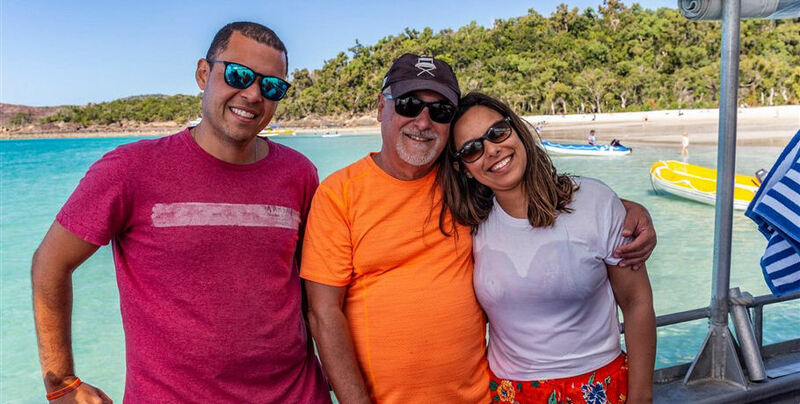 Reefstar Cruises is owned and operated by Whitsunday locals who add that family touch to their tours. With a choice of two options, they have an outstanding trip for every visitor! 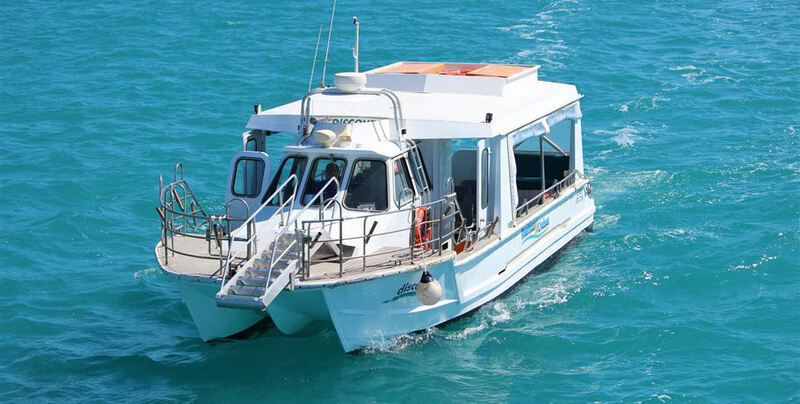 Their comfortable and stable vessel ensures that you will have a relaxed day on the water visiting splendid coral reef and stunning beaches including the famous pristine Whitehaven Beach. 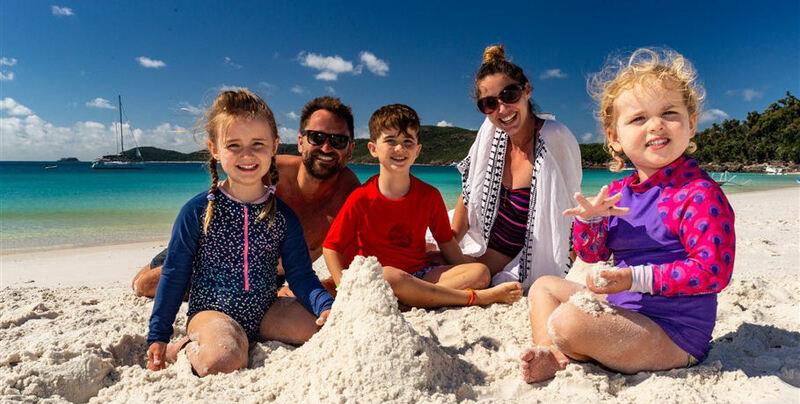 The two options are the Relax and Explore Tour or the Ultimate Experience Tour with both offering excursions to Whitehaven Beach, snorkelling from beautiful fringing coral reef and a glass bottom boat tour. 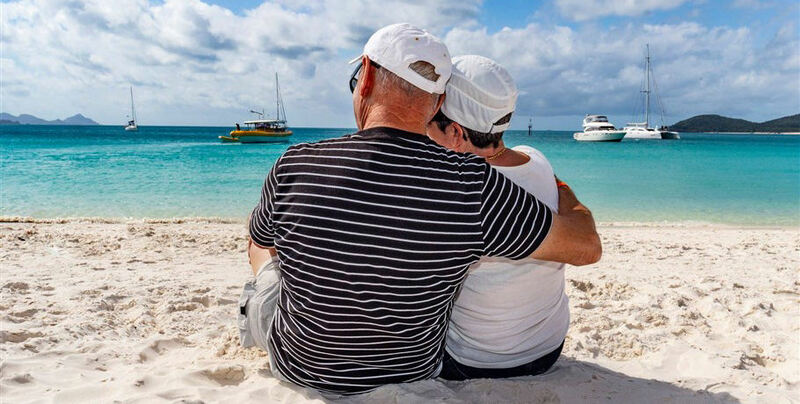 The Relax and Explore Tour guests enjoy 3 hours at Whitehaven Beach while Ultimate Experience Tour guests have 1.5 hours at Whitehaven and 1.5 hours hiking through gorgeous bush to the amazing Hill Inlet Lookout at Tongue Bay. Please note: Both tour options take place on the same vessel. The courtesy bus is available to collect you from your Airlie Beach accommodation from 6:35am (as determined by the staff). Alternatively, you may make your own way to Abell Point Marina to check-in by 7:20am. 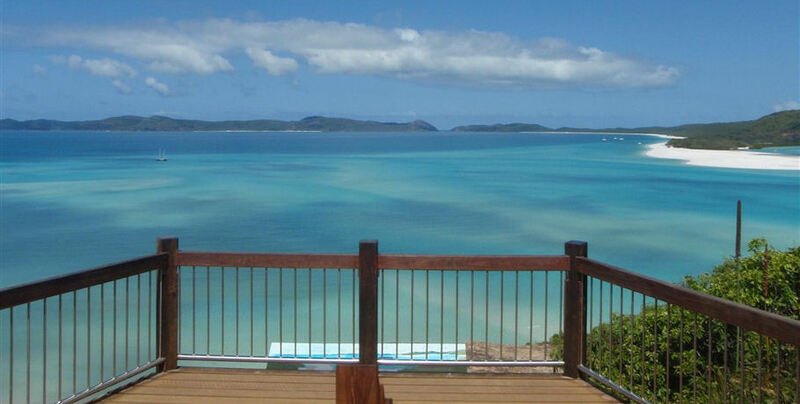 You will depart at 8am for your Whitsundays adventure so please don’t be late! 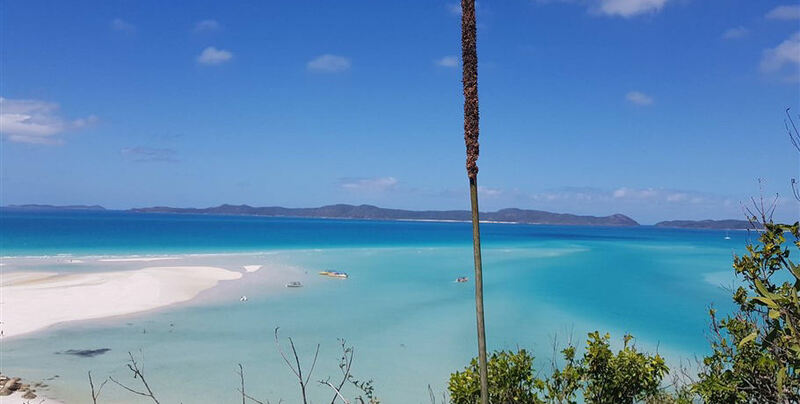 8am Depart the Marina and cruise across the Whitsunday Passage, past the Molle Islands, and into the World Heritage area of the Great Barrier Reef. You will be provided with a complimentary tea, coffee, or hot chocolate for this journey. 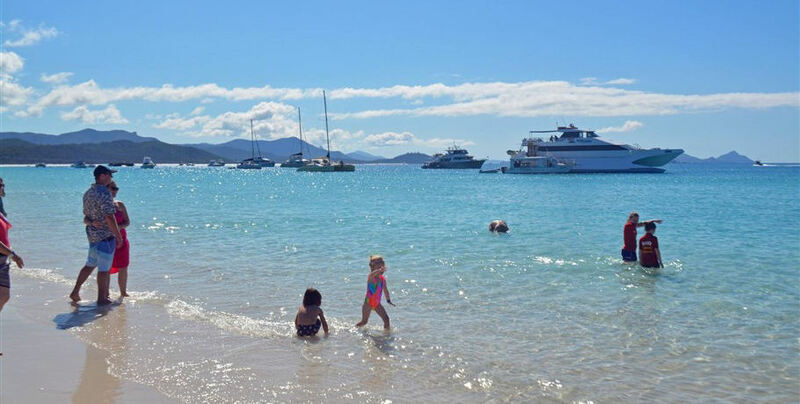 9:30am Your crew will transfer all guests from the vessel to the southern end of Whitehaven Beach. Delight in this 7km stretch of 98% silica sand frequently voted top ten in the world! Relax and Explore guests will have 3 hours to enjoy this pristine beach by sunbathing, strolling, or splashing about in the waves. There is also a short bushwalk available from the Whitehaven location. Ultimate Experience Guests will be taken to Tongue Bay for their guided bush walk to the Hill Inlet Lookout. This walk is approximately 800m and does require a moderate fitness level but is well worth it! Marvel over the beautiful shifting sands and turquoise waters laid out before you. Make sure you take some photographs as this view will be one to cherish for a lifetime. 12:30pm Everyone will meet back onboard for a delicious lunch in the air-conditioned comfort. There is also a licensed bar available to the adult guests and soft drinks. 1:15pm It’s snorkelling time! 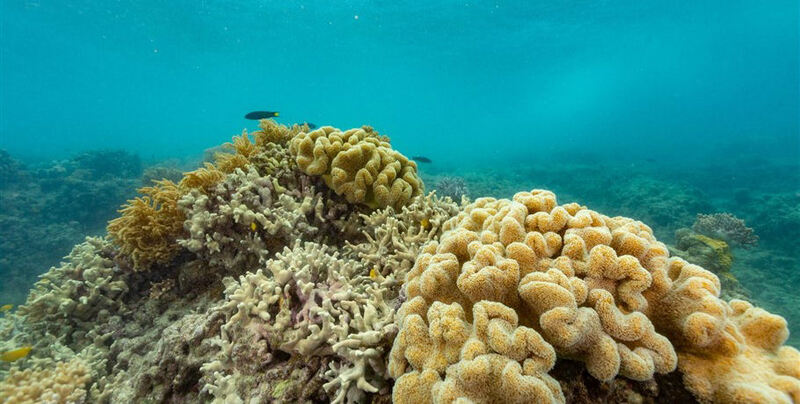 Your crew will select the fringing coral reef location based on the weather and tidal conditions of the day. 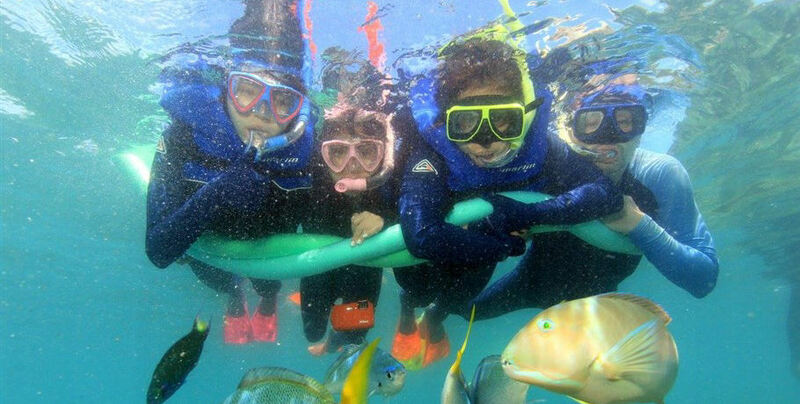 They wish to ensure you have the best experience possible and your vision isn’t affected while in the water. 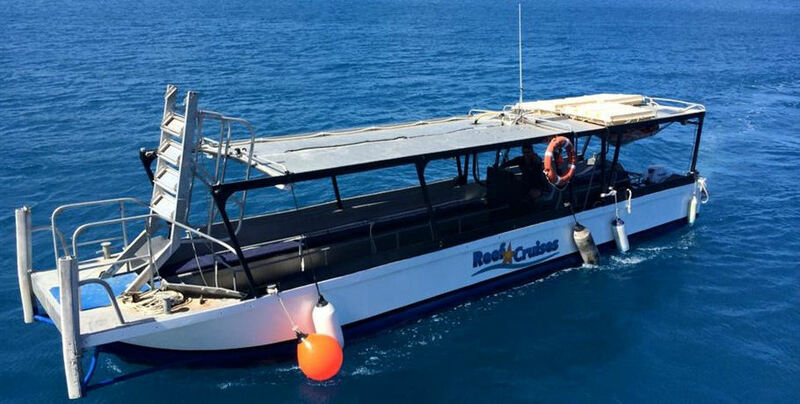 There is also have a glass bottomed boat for guests on both tours to enjoy should they become tired or prefer to stay out of the water. You will be enjoying the vibrant coral for up to three hours but it’s never enough! 4pm Depart the reef and enjoy afternoon tea as you return to Abell Point Marina. This crossing should take approximately 1 hour. The courtesy bus will also be available to return you to your accommodation.